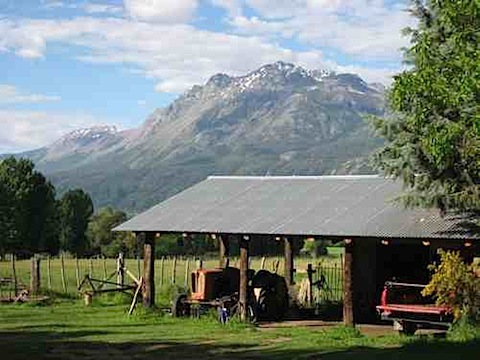 Argentina Organic Farm – We had the experience of a lifetime volunteering at Chacra Millalen, an organic chacra (farm) just outside of El Bolson. It was spring when we went so there was plenty of farming work to do. We also helped cook and clean and participated in other daily activities. We were on an extended stay in Argentina, and stayed in Buenos Aires a week before traveling to other parts of the country. We had no idea what to expect so we went there with open hearts and adventurous spirits. We scheduled to be on the farm for 5 days. Here’s our story…. We took a public bus from nearby El Bolson to the tiny town of El Hoyo, then taxied out to Chacra Millalen, the small organic farm in the Patagonia region of Argentina where we’d spend the next 4 days volunteering. Neither of us had WWOOF or worked on a farm before or participated in any type of agritourism. However, we are green travelers so we were excited to help, give back, and experience a healthier way of life. Would there be other volunteers? We were hoping for lots of fresh produce. We walked up the winding path past horses and two tents then spotted six other volunteers in a huge garden. They looked like they were having fun — a good sign. We were greeted by two happy dogs as we approached the building where lunch would be served. Before dining on delicious vegetarian lasagna and fresh salad, we met Josephine, the owner of the farm, who was lovely. The other volunteers took a break from working in the garden, and we chatted with them over lunch. We were surprised that everyone was from an English speaking country — Canada, the US, the UK, and Australia. It was strange but comfortable to have conversations in English again. Everyone was very friendly and around our age. Some were staying for a week, others had been there a month and weren’t sure when they’d leave. Ours was the shortest visit scheduled. After we ate, we had a tour of the farm. We put our bags in our quaint and comfortable room above the kitchen. It’s also possible to bring a tent and camp on the land, but we didn’t have a tent with us. Then Josephine showed us the three showers and encouraged us to use one of the two that was heated by wood-burning stoves (instead of gas). We also noticed four recycling bins and a compost can in the kitchen. Between that and the organic produce the farm grows, Chacra Millalen was definitely scoring green points. Josephine told us there was a break from working in the afternoons, and farming would resume at 4 pm. We picked up books and sat outside reading and appreciating the fresh air. We snacked on bread cooked on the property and homemade jam from the previous summer. At 4 pm, we got to work weeding the rosemary bushes in the garden. We were glad we were assigned an easy task, as it’s difficult to mistake a rosemary bush for a weed. I was thrilled to discover that I enjoy the mundane task of weeding since I have been planning on having an organic garden when we’re back in the States. We finished up after two hours then wandered up the dirt road to explore before dinner at 9:00 (typical Argentine dinner time). The views of the mountains were breathtaking. Everyone took turns cooking meals that we all ate together, which created a good sense of community. For dinner we enjoyed another meal full of fresh organic veggies and homemade bread. Overall, day one at Chacra Millalen was great and better than we’d ever imagined it could be. When we learned volunteers get the weekends off we were a bit disappointed. After all, we were planning to leave Tuesday morning, and we wanted to contribute before then. So be sure if you are planning a volunteering trip to Chacra Millalen that you take this into consideration. It makes sense that everyone gets a break, especially since so many of the volunteers stay for a month or longer; we just hadn’t thought about it. We quickly got over our disappointment when we learned about a gorgeous nearby lake. We trekked up a winding dirt road for two hours to get there. 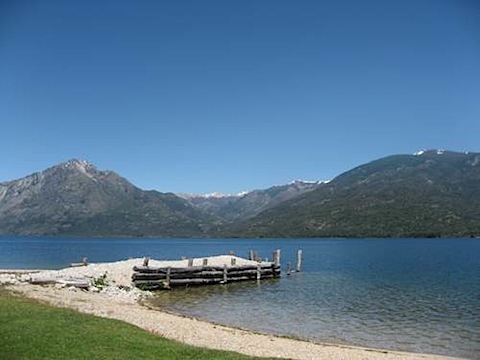 Lago Epuyen was incredibly peaceful and beautiful, surrounded by mountains and free of the houses that typically crowd US lakes. We sat on the grassy shore for an hour, eating raspberry jam and butter sandwiches and taking in the view. Then we hiked back to the farm and cooked pasta with veggies for dinner. I loved that we had free reign of the kitchen, and the abundance of fresh, organic vegetables gave us a much-needed break from the Argentina parrilla we enjoyed thus far. If we weren’t going to be able to work on the farm on the weekends, at least we’d get some exercise in and explore the area. On Sunday we hiked in the opposite direction of the lake toward a waterfall we’d heard about, creatively named La Catarata (“The Waterfall”). We didn’t have very clear directions, but fortunately we stumbled upon it within an hour and half. Once we got off the flat dirt road and onto the trail the hiking got more difficult. It was fairly steep and I was contemplating whether it was worth it when we crossed paths with four women in their sixties who were coming down. Seeing them shamed me into powering through. The waterfall paled in comparison to Iguazu Falls, but was still magnificent. We admired it and snapped photos before hiking back down and relaxing near the waterfall’s stream. I was craving ice cream so we took a detour to the gas station (not much else is open on Sundays) on the way back. For dinner we made polenta with homemade tomato sauce and vegetables from the farm, then pitched in with other volunteers to bake a made-from-scratch carrot cake. It was amazing. More weeding was in store for us on Monday and Tuesday mornings. This time around it was spring onions and basil. I enjoyed it slightly less than weeding rosemary since these weeds were tiny and abundant. But I still liked being able to see how much progress we’d made in just a few hours. Other volunteers worked on planting peas, picking oregano, thinning the carrot patch, and gathering herbs. We heard that next week they’ll get started on making herbal remedies as well as packaging the herbs to sell. As with any farm, the work depends on the season. On Monday afternoon we read on the lawn accompanied by the dogs and a tiny cat I named Permakitten because it was 2 years old, but looked like it was 4 months old. Our meals on our last two days consisted of an array of hot and cold salads, lentil patties, tomato stew over rice, other Argentine cuisine such as soy milanesas, lentil stew, and herb garlic toast. There was never a shortage of delicious food at Chacra Millalen. We bid farewell to the farm and our fellow volunteers on Tuesday after lunch and headed back to El Bolson to catch our bus to our next destination, Puerto Madryn. 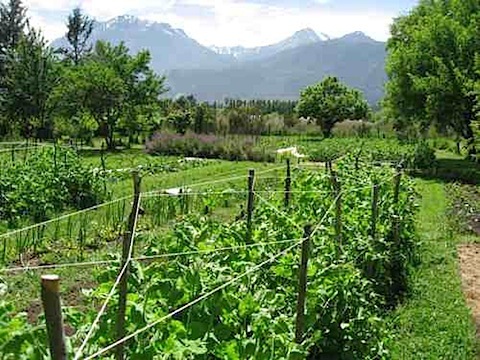 Without using the WWOOF (Worldwide Opportunities on Organic Farms) website, it’s not easy to find volunteer opportunities on organic farms in Argentina. It took us a long time and a lot of internet searched to find this one. In hindsight, we probably should have paid the membership fee and gone through WWOOF. 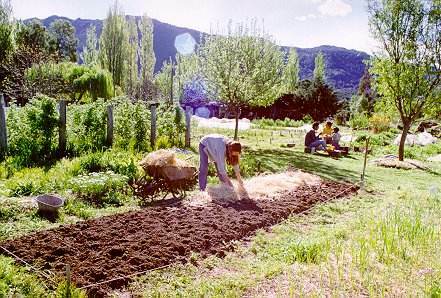 See our article for 11 things to know before you WWOOF. I went to Chacra Millalen not knowing what to expect and hoping that I would learn something about gardening. I was pleasantly surprised by everything there. 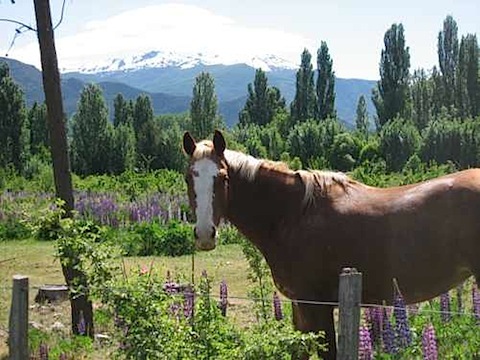 I would definitely recommend Chacra Millalen to anyone wanting to get off the beaten path in Argentina, and give back to the community. The food was awesome, the people fun, the accommodations comfortable, the hosts gracious, and the work satisfying. 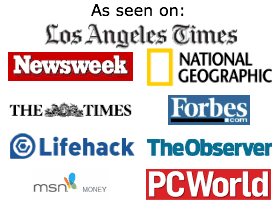 Since this was my first experience with WWOOF ‘ing, I’d like to know how it compares to others. Have you ever volunteered at Chacra Millalen or on a different organic farm? If so, was your experience similar to ours? Help Wildlife in Belize – Since it became an independent nation in 1981, Belize has devoted itself to the conservation of its extensive natural resources. The country’s rugged interior has meant that, throughout its history of colonization, most human activity has focused on the coastal areas, leaving the inland mountains and forests relatively untouched by logging and agriculture. 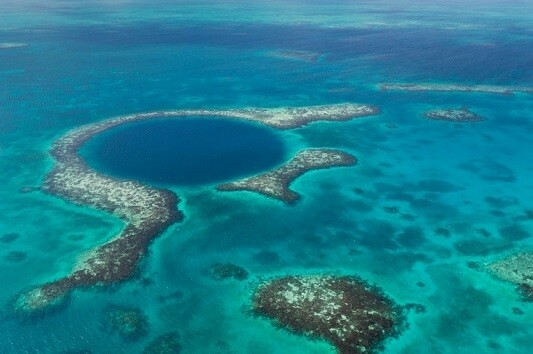 Today, 26 percent of Belize’s marine and land territory is under government protection, with a further 17.8 percent under private protection. More than 540 species of tropical birds, 150 species of mammals, 600 species of marine and freshwater fish, 150 plus species of reptiles and amphibians, and 3,408 species of plants call Belize’s diverse ecosystems home. All this makes Belize an ideal destination for eco-tourists, many of whom come to volunteer with scientific research and conservation efforts focused on the forests, beaches, islands, mountains, and coral reefs of this Mesoamerican nation. Volunteer conservation travel lets you make a difference to help save endangered species and protect vulnerable ecosystems, while gaining experience on a real research team and learning more about the natural world. Volunteer conservation tourism presents a way for students and ordinary people to get involved in conservation efforts in some of the world’s most exotic locales. 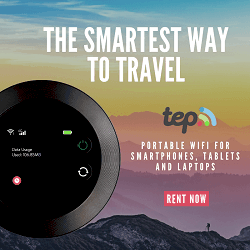 While you’ll have to pay a fee to cover travel costs, you’ll get to work with real scientists, observing animals and collecting data, protecting threatened ecosystems from invasive species, performing educational outreach in local communities, and rehabilitating injured or ill wild animals. You’ll make new friends, gain work experience, and still have plenty of time to explore local attractions on your own. Thanks to Belize’s commitment to conservation, there are numerous options for volunteer conservation tourism in this small country. Whether you’re interested in participating in a weeks-long research trip, or just want to spend an afternoon spearing lionfish, Belize offers something for every ecologically-minded tourist. The lionfish is native to the Indo-Pacific oceans and the Red Sea, but it’s believed that some specimens accidentally escaped, or were released, into the Caribbean in the 1980s or 1990s. These fish, which prey on everything and reproduce rapidly, pose a huge threat to the delicate marine ecosystems off the coast of Belize. Reputable companies such as Blue Ventures lead lionfish expeditions of the coast of Ambergris Caye, Belize. Through them, you can spend time not just fishing for these invaders, but educating local residents on how to profit from the harvest and sale of lionfish, the only fish in Belizean waters that it’s permissible to kill with impunity. But, perhaps you’re more interested in saving, rather than spearing, marine life. Earthwatch leads shark conservation trips aimed at monitoring shark populations in Belizean waters and stopping illegal shark fishing. In this program, you’ll get the chance to participate in catch-tag-release efforts, collecting data on local shark populations while staying in an ocean-side research station and eating delicious, home-cooked food three times a day. With Ecomar Belize, you can get involved with the Turtle Watch program, patrolling the beaches to collect data on sea turtle nesting, protecting nests from irresponsible individuals, or collecting data on turtles in the water during dive surveys. 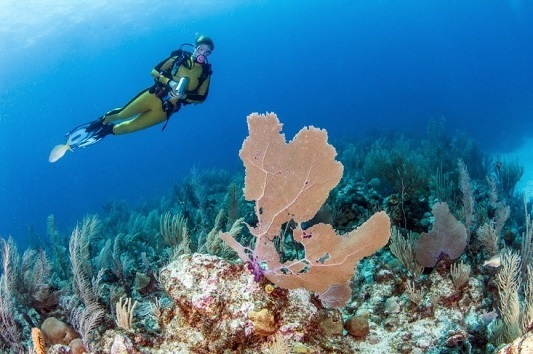 With Frontier Gap, you can perform diving surveys to explore, map, and monitor the health of the coral reefs off the coast of Belize and its cayes. You’ll record reef fish populations, help scientists perform annual reef health assessments, and record baseline biodiversity data on invertebrate species and marine plant life. You’ll also have the chance to spot manatees and other marine life, take vegetation surveys of mangrove swamps, and work with local organizations to perform community outreach. The Antillean manatee, subspecies of the West Indian manatee, lives in the shallow waters off Belize – for now. There are only 800 to 1,000 of these animals left, and their preference for shallow water means they’re the frequent victims of boating accidents. With Wild Tracks Belize, you can work to rehabilitate manatees injured by boats; the organization also raises and releases orphaned manatee calves. Volunteer placements last from one to three months. If you’re looking for a way to give back while enjoying the tropical sun and sandy beaches of Belize, volunteer conservation tourism may be for you. You’ll get to help study and save endangered animals and their habitats, while making friends and gaining experience that will be useful for years to come. bonjour madame Josephine, je vous ai parle hier au telephone re travail volontaire a votre ferme , El Bolson. (reference de Elisa qui a demeure chez vous) Je suis du Quebec, Canada. Tres interessee a aller travailler chez vous. Je vous rappellerai en fin de janvier pour planifie au cas ou il y aurait possibilite pour fevrier. Your experienced of volunteering abroad is truly great! Well, if you volunteer abroad there are many things that you should consider not only yourself but your surrounding as well. And if you volunteer at heart the tasks that you were assigned with would be easy for you. You can surely not notice the time you spent because everything would be great. The place you were volunteering with as well is totally amazing! Looked again at your excellent stuff, I think I’m off to S/America. Need to do something worthwhile. I am enjoying your posts. El Bolson is a wonderful place and has the best beer in Argentina. I am currently seeking for a farm that i will undergo a 12 months farm apprenticeship training from November 2010-November 2011. My name is Ankita and I am on the Volunteer Abroad Team at Go Overseas. I found your blog through a Google search and it seems like you had a great time volunteering abroad! Do you have 20 minutes this week or next to answer a couple of basic questions via email about your time volunteering in Argentina ? Your answers would be featured in the form of a short interview on our website and would provide invaluable assistance to others thinking about volunteering abroad.